Hey there. It's me, with another apology. I'm sorry we didn't review the BlackBerry Storm 2. It's because RIM doesn't care about you guys. It's been total radio silence from them regarding a review unit, so we're late with a review. I'm sorry we can't provide our usual level of speed and depth on the device; normally, we're provided with a review unit at or ahead of release and have the time to put it through its paces. But apparently we've been blacklisted. This is not about that. RIM's never really liked Gizmodo or Engadget, or blogs in general. They gave review units to the NYT and WSJ, who went ahead and panned the phone, just like we would have. I don't mind when we get put to the back of the list for that reason, the preference of old media over new. But this wasn't just an anti-online decision—they also gave a phone to Crackberry, which far fewer people read. I don't mind that website at all, but clearly RIM is pissed about something we specifically did. Since they're not responding to phone calls or emails now, I can only guess its because Engadget (god bless them for breaking the news on this) did a hands on of a Storm 2 Handset 6 months before it launched. Before it was even acknowledged that it existed. 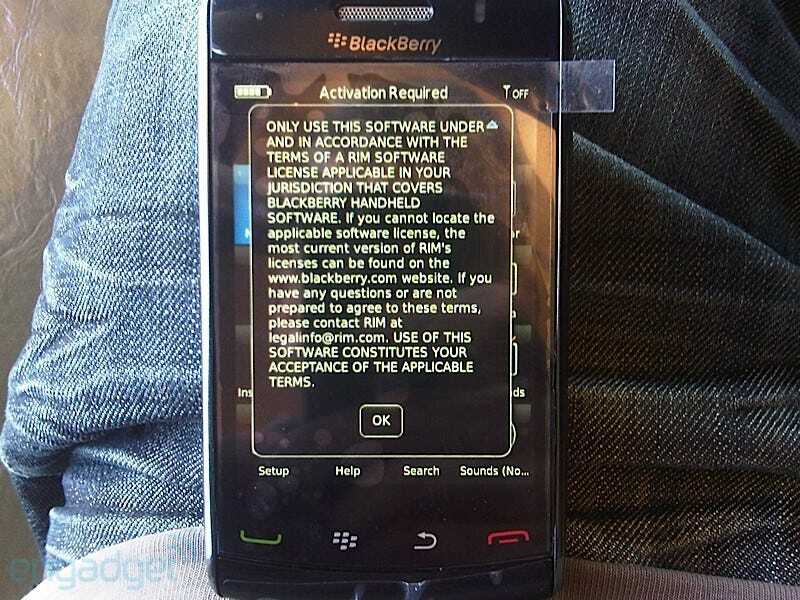 (UPDATE: Crackberry did, too, make a common practice of handling unreleased phones on blog. Good on them! )Understandably, RIM got pissed, although you'd think they'd get pissed at themselves for allowing the leak. But that doesn't explain why we weren't allowed to check it out. My hunch is that they knew we'd savage it. That's OK, it's not their responsibility to hand out review units to us if they don't want to. We're a small publication in the grand scheme of media. This is not about that. The bottom line is that I'm sorry we couldn't tell you this based off our own in house review. Now you know why.